You have a question? First, check the FAQ below to see if it hasn’t already been answered. You’ll also find information on the Maya World page. How long have you been an archaeologist? How old were you when you wanted to be an archaeologist? Probably by the time I went to secondary school, I wanted to do archaeology. I think when I was about 7 years old. How long did it take to learn to be an archaeologist? A long time! I had to move to America to learn about the Maya and I was there for 10 years! Who and what gave you inspiration to become an archaeologist? Why did you want to become an archaeologist? I read a lot of adventure books when I was growing up and of course Indiana Jones too! These films and books really inspired me to be an archaeologist. I enjoyed history and sciences at school and also I loved the idea of digging up the past. I love learning about the past, how people who were very different from us created the most amazing buildings without any of our modern technology. I love being in different parts of the world and digging up the past. What inspired you to go to a place to find ancient remains and to discover pots and paintings, just to get bit by bugs and be ill? It is all worth it, to spread the word about how amazing the Maya are and to teach children such as yourself about them. Do people ask you about dinosaurs even though you are not a paleontologist? What is the best thing about being an archaeologist and why? I love finding things that no one else has seen before, artefacts that are over 2000 years old and I am the first person to find them and touch them – it is really special – you feel like you are almost touching the past. Do you like your job? Would you recommend your job? I LOVE my job, so much so that it really is not like a job for me as I want to do it forever – I never want to retire! It is hard work to be an archaeologist, but if it is something you are interested in and are prepared to work hard for then I would definitely recommend it. What tips do you give to people who want to become an archaeologist? If you want to be one then make sure you do well at history and science in school. Then when you are in secondary school you can volunteer on excavations in England to give you a bit of experience. How long have you been an expert on the Maya? When did you first start research on the Maya civilisation? I have been studying the Maya for about 15 years. Are you really the only maya archaeologist in Britain? At the moment, I am the only British Maya archaeologist in the UK, but who knows, maybe you might become one too one day and then there will be two of us! Why did you start learning about the Maya civilisation? I was going to study South America, for example the Inca, but I visited Palenque a Maya site in Mexico (where King Pakal was buried) and I was just fascinated with the pyramids, the writing, the art – all in the middle of a rainforest! I decided then that I had to learn more about these amazing people. What part of the Maya do you like learning about? What are the mysteries you found out about the Maya people? Well, working in the pyramid with the beautiful paintings gave us lots of information that we didn’t know about the Maya – such as how developed they were, their art, writing etc. Have you discovered any tombs of kings or queens, if so where were they located? I have discovered burials of important Maya people, but no kings or queens yet. How did you know about the ball game? We know about the ballgame from the ballcourts that are found, the depictions of the ballgame and playing the ballgame on vases and also the mention of it in the Mesoamerican codices. Who are the people who help you to discover things or do you work alone? No, I never work alone, it is too dangerous. Maya people work with me. Have you studied any other ancient civilisations and which ones? Yes, as part of becoming a Doctor, I had to study all the other histories of the world. How did you learn Mayan? I learnt a bit of Yucatec Mayan whilst I was doing my studies in America. Because I am an expert! What is the longest time you have been away from home? I spent 10 years away from home, living in America studying the Maya. I also spent two years in Guatemala working in the rainforest and in the lab, so quite a long time! Have you ever been to Guatemala? Yes, I actually work in Guatemala. Have you ever seen a Maya person? Of course, I work with them. What is your favourite thing about the Maya and your adventures? What was your favourite part while exploring the Maya world? Definitely the rainforest, I LOVE being in the rainforest and exploring the Maya sites in the jungle. It is really exciting and although there are many bugs, it is really fun too! When are you going back to where the Maya lived and which of the three places (mountains, beach or rainforest) are you going to? I go every Spring to the Maya area. Usually from February onwards, this is the dry season in the rainforest. I always visit both the rainforest and the mountains. How far is it to the Maya rainforest? Well, a 2-3 hours flight to Spain, then a 12-hour flight to Guatemala, then a 10 hr drive to the nearest town to the rainforest and then about 3 hours into the rainforest… quite a long way! Did you miss your old home when you went on your adventure? No, but I do miss my dog, Rufus. What has been your scariest adventure? Well, I think nearly being bitten by a Fer-de-lance was pretty scary! Are your expeditions always exciting? What is your most amazing memory of the rainforest? Watching the sunrise or lying in my hammock at night and watching the bright stars. Also seeing animals every day, like monkeys and the very cute pizote (also known as the White-nosed Coati)! Did you enjoy it in the jungle? Is it scary or frightening? Actually I LOVE being in the jungle and I miss it when I am not there. Now it has become a second home for me. I love being in the middle of nowhere away from traffic and noise with only the sounds of birds and monkeys above my head. The only time I was really scared was when I first heard the sound of a howler monkey, remember I told you all about it, hearing it outside my tent in the middle of the night and thinking it was King Kong! What it is like living in the Maya jungle? It is really fun! The bugs can be a nuisance and you have to be careful of snakes and other things, but there is nothing like lying in your hammock in the evening, looking at the bright night sky and hearing all the sounds of the jungle. How many months do you stay in the rainforest? I can only be in the rainforest during the dry season (February-May) as once it rains we get stuck and it is almost impossible to get out! Is it hard to camp in the Maya rainforest? What is the scariest thing you have seen whilst in the jungle? Definitely the Fer-de-Lance, one of the most aggressive and poisonous snakes in the Americas. I saw two up close together and they were only a few metres away from me! Luckily I lived tell the tale. When you go to the rainforest do you try to blend in by wearing the same clothing? Well, I am covered from head to foot as there are so many bugs around! I just wear long shirts and trousers with socks and boots. What do you eat in the rainforest? Beans, eggs and rice. I also bring marmite with me – I love it! How often do you find an artefact? Usually every time I am excavating. What is your best discovery? Well, working on those beautiful paintings I showed your class was quite amazing! What is the most interesting object you have ever found? What’s the best artefact you have found? I think for me it was finding the red bowl I told you all about, apart from it being really old and I was the first person to touch it, it was also left behind around AD 900 although it was made around 100 BC (so over 2000 years old)!!! This meant that it must have been very precious to the people to have been saved and looked after for so long. Does your family have anything that they have kept for a very long time, something that is important to them? The word for this sort of thing is heirloom. What was the first ancient object of the Maya that you found? The same red bowl mentioned previously. What is the biggest thing you have found? Finding burials is quite exciting. How many objects/artefacts have you discovered? Many, including burials, pots, tools, houses… I couldn’t possibly count them all! What is the newest artefact that you have found? Not quite an artefact, but I recently found several ancient Maya houses (around 1400 years old). How happy out of 10 were you when you found your first artefact? At least 10 out of 10! How do you know in which place the artefact can be? Through excavating, sometimes we have an idea, for example digging inside a room would reveal pots, but other times it is a big surprise! Have you ever seen a jade mask and jewellery set? Have you ever seen a king’s throne? How could you tell what the writing said? Well, there have been people working with the writing and using help from Maya dictionaries today they have been able to work out what the words mean. This is called “decipherment”. Are there other ways of finding out about an artefact other than looking at the Maya glyphs and pots and stuff? Context is all important. Context means where the pot was found, if the pot was found in a burial- what could that tell you about the person who had died? If the pot was found in a room, what do you think could have been going on in the room? Next time you go what do think you will find? I would LOVE to find a Maya paper book that has preserved and tells you everything you need to know about their ballgame and how they made their chocolate drinks. How many temples and cities have you seen? Have you climbed a pyramid before? Were there any traps when you were inside the pyramids? Only falling rocks and snakes! How many Maya cities did you find? Well many of them have already been found during the last century, however, I worked at one that was just recently found. I also found a few ones that haven’t been excavated last year. Did you ever get stung or bitten by a wild animal/bug whilst exploring the Maya cities or villages? Yes, many times! Scorpions, fire ants, mosquitoes, ticks, chiggers… you name it! How did you feel when your friend saved your life from the pit viper when you were walking to the Maya temple? Very, very relieved and very grateful! Are there any animals that you don’t like? I don’t like spiders, especially tarantulas! How many big spiders have you come across? Are you more scared of the snakes or spiders in the Maya rainforest? Definitely the snakes – especially the nasty Fer-de-lance! Have you ever seen a jaguar? I have also seen a baby jaguar. Unfortunately, the mother had abandoned it and so we kept it with us in camp for a few days before taking it to the Guatemalan zoo. It wouldn’t have survived on its own in the jungle. It is doing very well though in the zoo. Have you ever seen a hungry jaguar lurking in the bushes when you were digging up stuff? Fortunately, jaguars like to sleep in the day, they hunt at night, so no surprises when I was digging, although the people I worked with liked to scare me by making jaguar noises, especially when I was by myself! Were you scared when the monkeys howled at night? The first time I was when I didn’t know what it was, I thought it was King Kong so I was very frightened, but I managed to pluck up the courage to see what it was. When I saw that it was just a monkey I was very relieved and also found it quite amusing – a little monkey making all that noise! There wasn’t any point going back to sleep, so I went to work! Do you know any myths about howler monkeys? What other animals do you see/hear in the rainforest? What is your favourite animal you have seen on your adventures? The pizote – remember that really cute animal I showed you all a video of? How many different animals have you found in the time you have been an archaeologist? Lots! Including a baby jaguar. Have you ever discovered a rare animal? I don’t think so – I have discovered lots of rare bugs though! Do you have any Maya friends when you go to the Maya areas? Yes, I have many Maya friends. If you were a Maya female what colour would your outfit be? Have you ever tried a chocolate drink made by the Maya people? Yes I have, it is very bitter! I am afraid Rufus won’t let me tell you, but he said he is young at heart. Do you leave your dog behind when you go to Guatemala? Well it depends how long I go for, if I am only going to be a few weeks then he stays with my mum and gets spoilt with endless sausages! If I go for a long time then he comes with me – he already flown on an airplane from Argentina to the States and the States to England so he is used to flying! If I have any spare time, I spend it with Rufus, my lovely dog. We love going for long walks and runs. I am actually raising money for a marathon I will be running to help Melody School, the school I talked about with the Maya children, so Rufus is helping me with my training. He is very cheap, I only have to pay him in sausages. What other languages do you speak except English? I speak Spanish and a little bit of the Mayan language – Yucatec. Where will we be able to find your book? When my book is ready it will be available on my website under the pupils section – so keep checking back! What centuries did the Maya exist in? The Maya can be traced back to the 20th century before Christ and they still exist. Archaeologists have defined several periods within Maya history: The Preclassic period (c. 2000 BC – 150 AD), The Classic period (150 AD – 900 AD), the Postclassic period (c. 950 AD – 1539 AD), and the Colonial period afterwards. Who found out about the Maya? I would say that John Stephens (an American diplomat) and Frederick Catherwood (British artist and architect), were the people that brought the Maya to popular attention. They visited some of the Maya ruins in the 1840’s and wrote about them in books such as “Incidents of Travel in Central America, Chiapas and Yucatan”. These books were very popular and many people became interested in learning more about the ancient Maya. How did they work out they were called the Maya? How did the Ancient Maya get their name? That is a good question! We don’t actually know what they would have called themselves. The name Maya was given by the Spanish when they first entered the area. The Maya kept mentioning “Maya…” something, which was probably the Maya city of Mayapan, but the Spanish took it to mean this is what they called themselves. How old are the Maya? How far back do the Maya originate? The time when we first start seeing villages in the Maya area is 2000 BC. When did the Maya disappear? Why did the Maya civilisation collapse? Remember they didn’t, there are between 7-8 million Maya people living today. How long did the Maya civilisation stay in Mexico for? We see the Maya living in Mexico from the earliest times, but we also see people moving there from the jungle around 900 AD. When was the first ancient Maya ruin made? Well we really don’t know as we haven’t found all the ruins yet, but we find pyramids as early as 800 BC. How did the Maya start? Well we see people living in villages in the area from 2000 BC and then after 1000 BC we start seeing large buildings, and later by 300 BC pyramids, art, writing and rulers. Was there a civilisation before the Maya? Yes, but not in the same area. We call them the Olmec. Why do we see the abandonment of Maya cities in the jungle around 900 AD? There have been various suggestions on what could have happened, some say that it was due to warfare as we see defence walls placed up around some cities and also evidence of fighting from the burials – spearpoints stuck in bones! However, we only see this in a couple of cities. Another suggestion is over-use of the land and over-population. Remember I told you that it is very difficult to live in the jungle and so as the population got bigger more of the land was used up and it got to a point where there was no land left for producing food. Again, there is only evidence of this happening, for example, deforestation, in a couple of cities. Finally, the last suggestion and the one that is generally agreed to be the correct reason is because of drought, that it there was a long period of extremely dry weather and remember I said that it was very hot in the jungle and that there was little water. You can imagine if there was a very long period, for example 10 years without much rain, there would not be enough drinking water nor enough food for everyone. We know there was a very dry period as archaeologists have taken samples from the nearest lakes and actually this dry period extended all the way down to South America, where we see many cities being abandoned and left empty! Some of you have mentioned disease, but this was not the problem then. It was a big problem when the Spanish arrived in the 1500’s, to conquer their land, as the Spanish, not realising, brought many diseases with them that the Maya were not protected against and so many died from disease rather than at the hands of the Spanish themselves. Remember though, although the Maya civilisation finally declined in the 1500’s when the Spanish came in and conquered them, the Maya did not disappear. 6 million Maya are living today, half the population of Guatemala are Maya and they still wear the traditional clothing and some even follow the ancient Maya calendar. Why did the Spanish take over the Maya civilisation so badly? Well the Spanish wanted their land and any precious materials they had and so they fought them for it. What was happening in Britain when the Maya lived? Britain goes through various time periods – Iron Age, Roman Britain, Anglo-Saxon England and then going all the way up to the Middle Ages with the Tudors. What is the difference between the Maya and the Aztecs? What is the most remembered legacy in the Maya civilisation? For me, it must be that they discovered cacao for making chocolate drinks! How many Maya are alive today? What do the Maya people look like? Why do you think the Maya civilisation was so advanced? Because they were very clever people! They lived in present-day countries of Guatemala, Belize and parts of Mexico, Honduras and El Salvador. Why did the Maya settle in Central America? They must have, like me, fallen in love with the rainforest and wanted to live there. Is there a time difference in Central America where the Maya are? Yes, in Guatemala, for example, there is a 7-hour difference. Why did the Maya choose to live in the rainforest over such lovely places? Actually, I think the rainforest is a lovely place! Yes, there are bugs, but there are also amazing birds, monkeys and pizotes, to name a few. The place is alive and for me just magical! I love being there. Why did they live in Mexico Central America? Well they did not just live in Mexico, but Guatemala, Belize, Honduras, El Salvador and Belize. We know that many of the Maya people moved to Mexico after there was a bad drought in the jungle area, as there was more water to be found there. Why did they choose the names, Guatemala, Belize etc? The Maya didn’t, these are names that were given much later in time from the 1500’s onwards. Should you say the Maya people of the Mayan people? Always, Maya. The adjective “Mayan” is only used for languages! Well, the ancient Maya spoke about 37 different languages and the Maya people today can speak about 28! If you pronounced something wrong, could it mean something else? Why is the Maya pyramid so important? The Maya pyramids were temples to the gods and ancestors, so very important! How did the Maya make the pyramids? With limestone and a lot of effort! How long did it take to build a pyramid? On average, how many Maya people would it take to build a pyramid? Well it depends on the size of the pyramid, it would take roughly 25,000 days for 1 person to build a Maya palace, so to build a pyramid which is it least 4 times the size – how many people/days would you need? Would there be someone to catch the king if he fell down the pyramids or did he live on the top so he didn’t have to go up and down? No, the king did not live on the pyramid and no, there would not be someone to catch him, he may have had help though when walking down the steps. You told us about the largest Maya pyramid, what about the smallest? Well, there was a very small pyramid in the one I worked in probably only a couple of metres high. Are the Egyptian pyramids older than the Maya ones? Yes, they are. This is because people were in Egypt a long time before people entered the Americas. What were the temples like? They were stepped pyramids, with stairs made of limestone. Often they had small structures on the top. The view from the top of the temples is pretty amazing as well! Why do the Maya own so many temples? Well, they saw temples as sacred, as places where they could have ceremonies for the gods and so this is why we see a lot of them. Did the Maya people worship gods? Yes, they had, for example Chac who was the god of rain, Itzamna the creator god, Ixchel – the goddess of childbirth and the moon. The hero twins from the Popul Vuh were also seen as gods. Why did the Maya have so many gods? Well they didn’t really, if you compare them to the Greeks or the Romans with their gods. Was there a chocolate God as there was a maize God? Do the Maya who are around now still pray to the same Gods as the Maya in 600 BC did? Many of the Maya today follow Christianity, though some of them do pray to saints that have their roots in the ancient Maya religion, for example Maximon. Why do the current Maya choose to be Christian and not to believe in Maya gods? Well, actually many of the current Maya do believe in ancient Maya gods. What they do is mix them with the Christian saints and so you see a blended religion, both of Christianity and of traditional Maya. If the underground was a bad place to go, if the Maya were good where would they go? We are told in accounts written after the Spanish arrived that good people went to a place where there was no pain or suffering and enjoyed an abundance of food and drink. The sacred tree of the Maya was there and they could take rest under it and never work again. This paradise is often called Flower Mountain. A place where the gods lived. Is it true that the Maya buried their family/ancestors underneath their house where they lived? If so, why did they do this instead of using something like a cemetery? Yes, they did. I have excavated in many ancient Maya houses and found many burials beneath the floors. They wanted to have their family. Do they bury their dead family under their houses now? No, they don’t do this now. Would they put other dead bodies in a coffin and bury it or did they do something else? Actually, family members were buried beneath the house floors! How long did the Maya live? The average person would probably have lived till they were about 45-50, but the Kings and Queens much longer, for example, Pakal, the great king of Palenque lived until he was 80 years old! How did the Maya cook raw meat? In the same way as we do. What did the Maya people eat on a regular basis? They are maize (corn), beans and squash. Fish and seafood, turkey, deer, rabbit, tomatoes, avocado…and of course, yummy chocolate drinks! What drinks did the Maya drink? Well, of course, hot chocolate for the Kings, but the ordinary people would have drunk a maize (corn) drink which is very nourishing. Were there any days when there wasn’t any food? If there were it was because of a long drought, when there hadn’t been rain for a long time and the crops had died. This could lead to times of hunger. Did the ancient Maya discover coffee-beans? How did the Ancient Maya make drinks? Well, their chocolate drink was made with water, cacao and sometimes honey and sometimes chilli! Why do the Maya put honey or chili in their drink? Well, they put honey in their chocolate drink like we would put whipped cream in ours, to make it sweet. Sometimes they also liked their chocolate drink to be hot and spicy and so putting a bit of chilli in would make it so. How do you pronounce ‘xocolat’? ‘Shocolat’ – although this is an Aztec, not a Mayan word. What do the Maya use chocolate for? The Maya used chocolate to make their yummy chocolate drinks, sometimes they would add honey and sometimes they would add chilli, which would have been quite spicy! Why were cocoa beans so important to the Maya? Because they could make wonderful chocolate drinks out of them, isn’t that a good enough reason? Did every Maya grow nearly everything they needed? Yes they did, but they also traded with other people in Mesoamerica for things they didn’t have, but wanted. How did they make their food with no electricity? They used fire, I don’t know if you have ever been camping, but you can heat things up by making a small fire. How did the Maya find food? The Maya grew their own food, they would have fields of maize and other crops. Did the Maya have milk in their chocolate and is it hot? No, the Maya didn’t have milk in their chocolate, they used water instead, and yes, we presume it was hot. Why did the Mayas like spicy food so much? Well, many people like spicy food, including myself. I love the flavour of spicy food, so perhaps it was the same for the Maya. Do you like spicy food? Maize, is corn, it is what both the ancient and modern Maya eat. They make tortillas (which is like a flat pancake), tamales (like a pasty) and a drink out of it. It is very important to the Maya, so much so that there was a maize god in Maya religion and you can see it on the murals from the archaeological site I worked at – San Bartolo – remember me showing you the paintings? Did the Maya have soup and fried chicken? Yes, they did have soup, but not fried chicken, but they did have turkey and so may have had fried turkey! Did the Maya have a special troop who hunted for their food? I am not sure if they would have had a special troop as such, the Maya grew their own food much like we do today. Do the modern-day Maya people still play Pok-ta-Pok? No, I am afraid they don’t, although some form of the ballgame is played in Mexico. Are there any other traditional games apart from pok-ta-pok? I am sure there was, but we don’t have information about them, it was probably written down in their paper books, but as you remember only a couple exist today. How high was the ball game ‘net’? The ballgame ‘net’ was actually a stone ring and could be quite high. The ballcourt at Chichen Itza, a Maya city, had rings that were 6 metres high! In the ball court game, did the losing Maya team get sacrificed? No, they didn’t – another myth to bust! Did they actually cut the leader of the losing teams head off and use it for the next ball? No, but I think this idea comes from one of the stories in the Popul Vuh, the book of Maya creation, that talks about the underworld lords using a head in a ballgame. In real life, as gory as it sounds, I am afraid it didn’t happen! Did they chop the winner’s head off in the ballgame? What other sports did they do when they were bored? The ballgame was their main sport, though I am sure they would have played other games, similar to what we do today, for example hide and seek. Did the Maya have a board game? because when you came I looked at a Maya artefact that was like a tiny pyramid for a board game. Not that we know of, though they probably had. The pyramid you mention was more of an ornament. What did the Maya do for fun? What did they do when they wanted to relax? Playing the ballgame would have been fun, it wasn’t just played on special occasions. I am sure like us, they had lots of fun with their family and friends too! Did the Maya tell stories? Of course, remember the conch shell we played in class? How hard is it to blow the horn that the Maya used? Did you not have a go on it when I visited? Quite hard! See here. Do Maya people play hockey with the ball on fire? As far as I know, no they don’t. They would have had days off like us, though we don’t know what those would have been. Where there queens in the Maya? If so, what were their names? Would they also wear jaguar print? Yes, there were – for example “Lady 6 Sky” from Naranjo who was queen from 682 AD to 741 AD. They wouldn’t wear jaguar print, rather the lovely huipiles (blouses) I showed you. How come Maya queens weren’t mentioned a lot? This is because and it is true for many cultures of the world, that generally men hold office, that is great positions of responsibility. This was the case in England too, where Queen Elizabeth 1st had many problems ruling, because the men didn’t like a woman ruling. I have at times the same problem, being an archaeologist and a woman, but it will not stop me ever doing what I want to do – women can achieve the same things as men. How did they decide who was next in line to throne? When the king died, his oldest son would inherit the throne. Why was jaguar skin so important to the kings? The jaguar is the king of the jungle, extremely powerful and dangerous and all the animals respected the jaguar. So the king wanted to be like the jaguar and so by covering his throne in jaguar skin, he hoped to be respected by the people like the jaguar was respected by the animals. What was the first Maya king? Well, at the moment the earliest king we have found in art is from the paintings I worked on, dated around 100 B.C. How many kings were there in the Maya times? Many! For example, just in one city, Tikal, there were over 33 different kings at different times. Was there ever conflict between the different Maya groups? Can you take a King or Queen’s dead body out of their coffin? What date would it be on the Maya calendar? Why did the Maya create their own calendar? Because there wasn’t one and they wanted to count time. When will the Maya calendar end? Can you tell me something about Maya calendars? Well, lots of information can be found on my website about the Maya calendar, see here. How did the Maya celebrate their birthdays if the same day only occurs every 52 years? Good question! Yes, they would only celebrate their birthday once if they were lucky in a lifetime! However, 20 year periods were also very important to the Maya and these were called K’atuns. If a King reached 20 years of ruling, there would be great celebrations and then every 20 years after that. So I sure the people also celebrated 20 year period of their life. Was 21 December 2012 actually predicted by the Maya? Why did the Maya think that the world would end on December 21st 2012? No, it wasn’t! If you want to know more about this then click on my Myths about the Maya page. How is astronomy linked with Maya temples? The Maya used something called the ‘golden mean’, which we see at the Maya city of Palenque. Also, they often built temples to align with astronomical phenomena, like the summer or winter solstices. Is Maya astronomy linked with Maya maths? Yes, the Maya were great astronomers, because they were great mathematicians. Can you figure out why? How many Maya cities are there? Many – and many more to be uncovered! Where would the ancient Maya have gone when they left their villages? Well, if they wanted to leave their village they would have moved to the city. The rich would live in houses made of limestone and the average person would live in a house made of wood. How did the Maya build their ‘floating gardens’? Are you talking about ‘chinampas’? If so these were Aztec, not Maya! What was the population of the Maya in one city? It depended on the city, for example, we think that Tikal had around 90,000 people living there at its peak. Chichen Itza had around 40,000 people. Well, it depends on what you mean by technology. They didn’t have computers, but they knew about the movements of the sun, moon, planets and stars. They had an accurate calendar and proper writing system too. Of course! Remember they had paper books – I showed you one of them. Did the Maya have schools? Did the Maya go to school? I am sure they did have some form of learning, but we know very little about it, unfortunately. As in our schools, we have year 1, 2, 3, 4 – do the Maya have the same in their schools? Well, we don’t know for the ancient Maya, as we know very little about the schools they had, but today, for example, the Maya school I mentioned in my presentation does have similar to what you have – years 1, 2, 3, 4 etc. When Maya boys were not hunting did they go to school and did the Maya have schools? Yes, the Maya children would have had schooling of sorts, unfortunately we know very little about it. Do you know why? Can you remember what I told you about the Maya books (codices)? Where did the Maya learn to make hieroglyphics? All by themselves! They were very clever. What did the Maya write with? Pens made out of reeds. How did the Maya make paint? By using the bark of a fig tree. Did they use coloured paper? We haven’t found any coloured paper, but this might be because paper does not survive well in the humid jungle. What were popular Maya names? Maya kings liked to call themselves after birds or animals – such as the jaguar or rabbit. An example is ‘Balam’ (jaguar). Did boys and girls have special things to do, maybe girls made clothes and boys fought, or were they the same in what they did? We don’t have much information about what boys and girls did, but I imagine so as today the Maya women make clothes. How did they make fire? Exactly how we used to do before lighters came along! How many different materials did the Maya use? Well, they had stone (flint), obsidian and jade, but also wood, bone and shell. If the Maya got hurt or injured what were the medicines they used? From the plants, many plants have healing properties. Did the Maya have police or something like the police? Yes, they would have, as people were punished for wrong-doing. What were the most popular boys and girls names? I am afraid that is something we don’t know, though I can say that the kings and queens liked to name themselves after animals, for example, jaguar, rabbit or macaw (a type of bird). Did the Maya have showers? Did the Maya invent the toilet? Well of course they would have some form of toilet. Were there any cars in ancient Maya times? No, there weren’t, nor were there any wheeled vehicles like bicycles or animals that could be ridden, like horses. Did the Maya ever get cold with the clothes that they wore? I shouldn’t think so as it is very hot in the jungle. It does get cooler at night, but I am sure they would have had blankets to keep warm. Why did they wear masks? The Maya would dress up on special occasions and the priests, rulers or entertainers would wear masks. They often wore jaguar masks because they thought the jaguar was the most powerful animal in the jungle and they wanted to be like one. What were the Maya clothes made out of? Maya clothes were generally made out of cotton. Well, we don’t know for the ancient Maya, as we know very little about the schools they had, but today, for example, the Maya school I mentioned in my presentation does have similar to what you have – years 1, 2, 3, 4, etc. How do you work out what the Maya glyphs mean? By looking at all the inscriptions and books and modern Maya dictionaries we can pick out words and then from there start figuring out sentences. How long did it take to work out the meaning of glyphs? It took many people, many years to work out the meaning of the glyphs and we still can’t translate everything yet. What was the most feared animal in the Maya area? What would happen if a hunter kills a jaguar? I am sure there were rules about who could hunt jaguars, as remember I said that jaguars were seen as the most powerful animals of the jungle and were very special. The king would have had people hunt them though for their skins, which could be used for clothing or in musical instruments, for example the skin for a drum. Did the Maya have pets like we do? Yes, they did, the dog for example, which we know makes a great pet. Regarding cats, well the cats we have as pets they would have never seen before! They had dogs though. I love cats so I’d really love to know whether the Maya had been able to tame/domesticate cats? I am afraid not, no cats lived in the Maya area. Did they have an animal that they like? The jaguar was seen as the most powerful animal of the jungle and so the Maya had great respect for it. We also see it depicted on Maya vases and paintings. During the Maya age were there any hyenas around? Not in the Maya rainforest! Why did they use tiger skin? It wasn’t tiger skin they used remember, it was jaguar skin. The kings often wore jaguar skin or lined their thrones with it. This is because the jaguar was seen as the most powerful animal of the jungle and so if the king wore jaguar skin then he was also very powerful. How difficult would it be to mine obsidian if they only had stone tools? Obsidian is a volcanic glass and quite brittle, so it wouldn’t have been difficult to mine with stone tools. Did the Maya find any diamonds or lapis lazuli? You don’t find diamonds or lapis lazuli in the Maya area. Why was jade so important to the Maya people? Remember that jade is the second hardest stone to humankind, it lasts for a very long time and was very difficult to break or scratch. So the kings wanted the power of jade – to live forever and never be harmed. Also jade is very expensive, like gold or diamonds are for us. Where did the Maya find jade? There is an area in Guatemala called the Motagua valley, which has lots of jade that the Maya would have mined. You said jade was the second hardest stone in the world. You also said they had no metal tools because they were a stone age people, so how were they able to carve jade into daggers and jewellery? It has taken us a long time to work out how they did it, but the general agreement is that they used garnet (more commonly found in sandpaper), which was found with jade and was a little bit stronger so that they could make incisions in the jade using little bits of garnet rubbed on tools. It is very hard and difficult work! What is the strongest stone? How many animals are there in the rainforest? There are 54 different species of animals in the Maya rainforest. The Fer-de-Lance! One of the most aggressive and poisonous snakes in the Americas!! What specific animals were dangerous in the Maya rainforest? Many! For example the jaguar, snakes such as the Fer-de-Lance, scorpions and lots of bugs! Even mosquitoes can be dangerous as they are carriers of malaria, whereas ticks are carriers of the Lyme disease. What types of big cat live there? The jaguar is the biggest, but there’s also the jaguarundi (Puma yagouaroundi fossata) and the ocelot (Leopardus pardalis). You said that the Jaguar was the king of the jungle at that time. Now we say that the King is the lion. Why didn’t Kings use lion skins or was it because lions weren’t living at that time? Lions natural habitat is Africa and Eurasia. There were no lions living in the Maya rainforest at that time or now. Were there macaws in the rainforest? Do you know why and how howler monkeys make that sound? The howler monkey makes the loud sound to communicate with other howler monkeys, for example, to let them know that they are entering their territory, so to avoid any fights. They can make this loud sound as they have an enlarged hyoid bone. How many degrees is it in the rainforest? It can get up to between 40-45 degrees Celsius!! How big is the Maya rainforest you visit? Then go ahead and ask your question using the comment section below (scroll down and post your question. Don’t worry about the email, it’s optional). 210 Responses to "Frequently asked questions about the Maya"
I’m sure girls did play it, especially for fun, but remember all the books that were burned? It might have mentioned this, but we don’t have them anymore. Did the Maya speak a different language other and the Mayan language? The Maya speak 28 different Mayan languages today and also many speak Spanish which is the language of Guatemala, Mexico etc. Because the UK knows very little about the Maya, and so many online sites just use what they do know about the Aztecs for the Maya. Very frustrating! What animals would you you excpect in to be there. 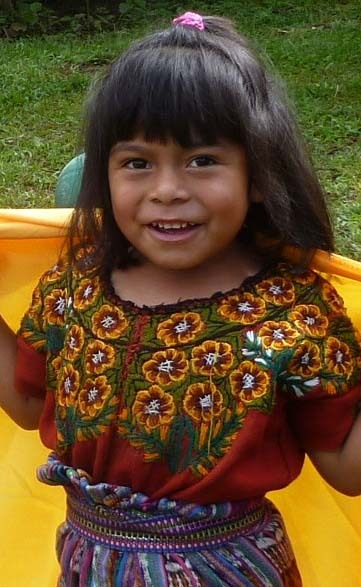 I will be adding lots of information about this later under the Maya World section, but in the meantime – remember the traditional clothes i had some children wear? Huipiles for example? What kind of jewellery did the Ancient Maya wear and please can there be a jewellery section on your website. When you came I was really inspired by you so thanks a lot!!!!! Thank you for this, I will definitely add information on jewellery over the coming months. Remember jade? The Maya rulers loved to wear necklaces etc made out of jade, as well as shell. The Maya live in the highlands of Guatemala now and also in the Yucatan Peninsula in Mexico. how much money would a jade knife cost ? Why thank you! I think my worst time in the rainforest was when i became ill – i had typhoid! It depends if you are the upper class or not. If you are high up then your house was made of limestone. The average person would have a house that had a stone floor but then pole and thatch or wattle and daub. How long can a Fer-de-lance live for? Remember they didn’t! Rather there was an extensive drought around AD 900, which caused many people to abandon their homes in the rainforest and move to highland Guatemala and the Yucatan peninsula in Mexico. There they continued their civilisation. We’re the Aztec’s around at the same time as the maya? Yes, the Aztecs were around when the Maya were but just at the end – the Maya remember were around from 2000 BC, but the Aztecs not until the AD 1300. Thank you Nicola! The Maya did not attack other civilisations, rather each other! We’re doing some writing in Mr Hartley’s class and some of our classmates are wondering what the bird was called. It is the one that makes a funny noise and then does a roly poly. No, it wasn’t at all, another big myth about the Maya…i am going to add more on this under the children’s section next month. How many pyramids did the maya build? How old are the maya temples? It depends which ones you are talking about – the earliest one found is about 2900 years old! Are the meat pancakes nice? hi i am somone from faldingworth school called Alea and please can you teach me an easy way to learn the numbers an easyer way. how many scares and surprises have you had. Do you have anything about their clothes? Well, I did show you what the Maya wore today and some of you tried on their traditional clothing. I am adding information under the Maya world section about this too though soon. Did you ever get bitten by a snake?? Did Rosie, I am glad you enjoyed my visit. I have been bitten by many things, but thank goodness not a snake – i might not survive that! how many temples did the king go to? Well, the King had his own temples in his city that he visited. He may have visited temples of other cities, if he was friends with the ruler. Did they have toothbrushes and toothpaste? They would have used some form of paste for cleaning their teeth, but I don’t think it worked very well as in the many burials I have found the teeth have been awful – lots of cavities. Hi DR Davis! It is me Divya from eaton valley primary school! I really enjoyed when you came to our school. Thank you so much! Question: How many rainforests have you been to from the maya and which one was your favourite?Why? The Maya believed that buildings had spirits in them and often they would bury their dead in them to promote the idea that they were alive. Many people believe buildings, or mountains, lakes and so on have spirits in them. In our classroom, we have a class book called the “Rain Player” and it’s set around pok-ta-pok, but in the book its called pok-a-tok. My question is that if it is pok-a-tok or pok-ta-pok? It is Pok-ta-Pok, the book is wrong i am afraid. Chichen Itza is a Maya city – so it has ballcourts, temples, houses etc. Diane, what did they use for the ball in pok-ta-pok? They used natural rubber that they made from the latex which is a milky, sap-like fluid found in some trees. We have recently been continuing our work on the Maya and have been focusing on calendars, I asked a question my teacher couldn’t answer, The question is… What would happen to the Maya calendar if there was a leap year? The Maya didn’t plan for that re-adjustment so, through time, the dates drifted and by the colonial times the harvest festival would end up being held at the time of the sowing. did the Maya calender have a leap year. What is your favourite animal in the rainforest so far? Definitely the Pizote, don’t you think? At Leys Farm Junior School we’ve been continuing our research on the Maya and we have recently been focusing on calendars. I asked my teacher a question and she couldn’t answer it, so the question is…If the Maya Calendar has a leap year, what would happen? I’m very curious about this and I don’t think it has been answered yet. Can you please do more snake videos? I will look into this, although to be honest, I don’t want to be looking for snakes to take videos as i value my life! Did the Mayans drink anything other than mazie? Did the Maya eat their turky or were they used for something else? Why did the maya decide to live where they do now? Hello Diane, its leys farm wondering what the bird that spins around on its branch with its distinct call is call. What was the name of the spider that you showed us on the slideshow? Do you mean the wolf spider? Did you go around the whole rainforest when you were there and did you find any tombs of the maya Kings and queens? The rainforest is massive, so no i didn’t go everywhere. I found many burials, but these were of wealthy people, not the king or queen. How long does it take to climb the maya temples ( especially the tallest one at 70m! ) ?????? Hi Diane you came to my school (04.06.18) I was wondering how the Maya would of gathered and made the materials to build and create the pyramids, buildings and artefacts? The Maya used limestone to build their pyramids and this could be found all around them in the ground. how is it being in a rain forest with deadly and scary bugs/insects? Why do Maya add chilli and honey to their hot chocolate? and also did they have metal then? chocolate is quite bitter which is why we add lots of sugar to it. The Maya did the same but they used honey instead. Chilli goes quite well with the bitter taste of cacao. The Maya didn’t have metal at the time. What kind of materials did the Maya use to make their clothing? They used cotton and other vegetal fibers. How much jade did the maya haven? And we’re they able to scratch it even though it is really hard to scratch? Have you ever met one of the maya people? Of course! I work with them. Hi this is Emily from St. Peter’s junior school. What was it like being in the jungle and what is the most exciting thing that you have discovered? Hi Poppy, what do you mean by your question? Where the Maya drank hot chocolate? Were you scared of some of the animals in the rainforest when you first went there, but got to like/ get used to them later on? you came to my school today and I wanted to know how many artefacts you have fond? I couldn’t tell you the number, but lots! I really want to know how your friend didn’t get hurt by the snake bite? She did get hurt, she just didn’t die as it wasn’t the nasty Fer-de-Lance! When did the Maya civilisation start? From 2000 BC up until today. What is it like to be a Maya archaeologist?! Is it fun being an archaeologist? Were there any aggressive tribes that attacked you in the jungle when you went through it? No, you just have to be wary of the animals. How many maya people are there? Today, at least 8 million. What made tou want to learn about maya? What is your faviroute part of maya? From a scale of one to ten, how noisy were the howler monkeys? You will find the answer in the questions asked at the top of the page. was it scary in the rainforest? It is only scary when you hear about forest fires or if there are gale force winds like we are having in the UK at the moment, we sleep in tents and so there has been incidents when trees have fell just missing someone sleeping in their tent! what was it like in the rainforest ? Lots of fun! I love the sounds of the rainforest – the monkeys and the birds, even at night it is noisy! Hi are u okay Kadie btw I am mya in 5R. My second name is not important. Why did you want to be an archaeologist? what is a Maya tableau and can you show a picture to me please ? Tableau? Sorry, i don’t know what that word is – can you explain to me what it is? I couldn’t tell you that – we have very little information on Maya children. Yes, the day of the month changes, just not the month until you pass 19 on the 3rd ring and hit zero. How did he maya travel? They walked and also used canoes. What inspiredyou to be an maya acheologist ? You will find the answer in the questions at the top of the page. No, they are not, just me! Can you remember the picture of the spider i showed you in the pyramid? This was the biggest about the size of an adult’s hand! Dr Diane, What was the Mayas best topic/subject? CAN YOU SEND ME ANOTHER VIDEO TO ME OF WHEN YOU WAS IN YOUR TENT AND YOU SAW THE HOWLER MONKEY. LOL, LAUGHING OUT LOUD!!!!!!!! how many snake are there in the rainforest? Many! I would see one at least every day. why do you want to study the mayan people? Hello Dr Davies, this is Aavni from Year 4, Britannia Village Primary School, London. I have a question around the current Mayans living in South America. How has Deforestation and Urbanisation impacted the Mayans? Do they still practice some of the ancient traditions and culture? Remember the Maya lived in Central, not South America. The majority of the Maya don’t live in the rainforest now but in the highlands of Guatemala or the Yucatan peninsula in Mexico. They do still practice some of the ancient traditions though, from planting and harvesting maize, to some of the clothes they wear, languages they speak and even some still use the sacred 260-day calendar. I am Ada from Britannia Village Primary School. I wonder if there are still surviving Mayas or their culture today? Yes, remember I said there was about 8 million Maya living today. Half the population of Guatemala are Maya. The Peten, in Guatemala and yes, you can visit it. What has been your favourite rainforest to visit? Definitely the Maya rainforest (Peten), although I also loved the Amazon. If I wanted to be a Maya archeologist, how can I do it? How many universities did you go to? Hello Diane,today(8th jan 2018)you came to my school,Brambleside,and spoke to us about the maya(n)s.I was really intrigued and now know so much. How many Maya did it take to build a pyramid? What do Maya draw/paint with? what was the most repeated thing a Maya king did in his day to day life? Probably meeting with his advisors to discuss the running of his city.